Main-floor highlights of this new model home include a private study with a barn door, a spacious great room with fireplace, a large dining area and a gourmet kitchen with an immense center island, walk-in pantry, double ovens and granite countertops. 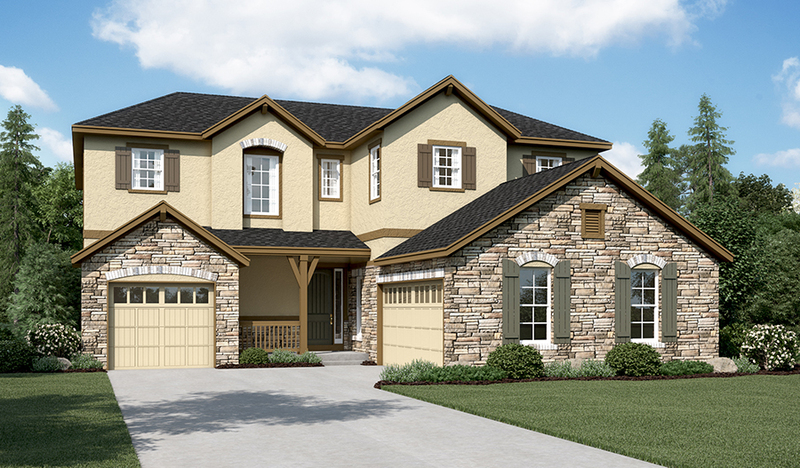 You'll also love the convenient main-floor bedroom with private bath, the relaxing covered patio and the mudroom off the garage with a bench and key drop. Upstairs, you'll find four bedrooms with two full baths and a luxurious master suite with a walk-in closet and deluxe bath with separate tub and shower. The finished basement provides additional living space with a rec room with wet bar, seventh bedroom, full bath and plenty of storage space.